MOISTURE MANAGEMENT: Moisture wicking for dry and comfortable feet. DURABLE FABRIC: Wearable for seasons to come. ARCH SUPPORT: Extra support in arch for increased stability and comfort. AIRFLOW MESH: Zoned Mesh knit for breath-ability. 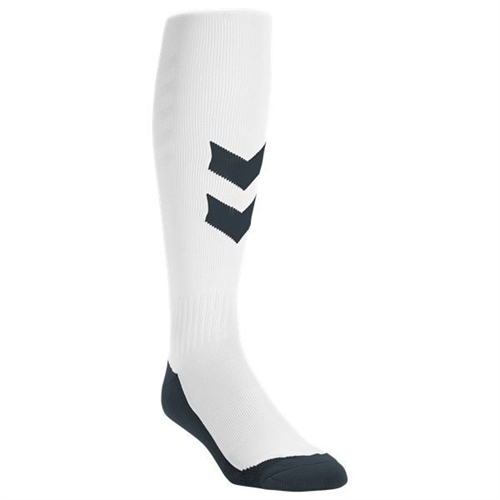 Our Hummel Fundamental Soccer Sock comes with moisture management and zonal cushioning to provide performance comfort and impact protection on the field.The socks feature arch support and padded ankle protection for comfort and stability during a practice or game.